During the late 24th Century, the Scimitar was developed covertly by a group of Remans under the command of Shinzon, a clone of Jean-Luc Picard. 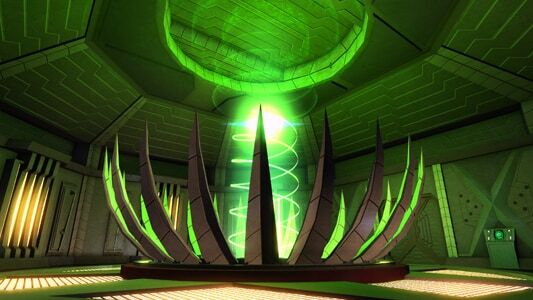 Praetor Shinzon attempted to deploy the Scimitar’s thalaron generator in the Battle of the Bassen Rift against the U.S.S. Enterprise-E and two Romulan ships, but the Enterprise's crew prevented the weapon from being fired and destroyed the Scimitar – albeit at a heavy cost. Since the Battle of the Bassen Rift, both the Tal Shiar and the Romulan Republic have developed new variants based on the original ship design. The Scimitar-class, Falchion-class, and Tulwar-class of Romulan Dreadnought Warbirds represent the Romulan Republic’s latest iterations on this technology. The original Scimitar was the most formidable ship of its time, carrying an unparalleled level of firepower and capable of fighting the U.S.S. Enterprise-E and multiple Mogai-class Warbirds simultaneously. While the Scimitar was ultimately destroyed, its design has been used to create new lines of ships equipped with the latest in Romulan technology. All Scimitar-type ships are slow moving, but have high hull strength, powerful shields, and five fore weapon slots. Romulan Dreadnought Warbirds come standard with one hangar bay equipped with Scorpion Fighters. Scorpion Fighters are equipped with Plasma Pulse Cannons and Plasma Torpedoes. These dreadnoughts can also equip Romulan Drone Ships, which can be obtained from standard hangar stores, the Dilithium Store, or Fleet hangar stores. More info about them can be found below. 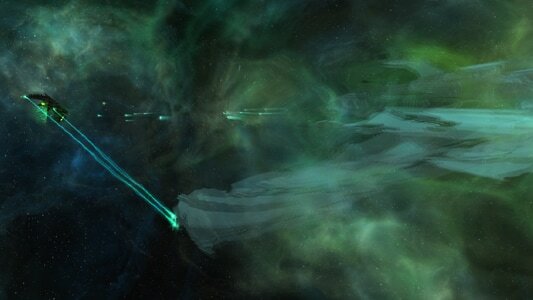 Each Romulan Dreadnought Warbird is equipped with a Romulan Battle Cloaking Device. This cloaking device can be used in combat, but your weapon systems and shields are disabled while it is active. The Scimitar-class most closely resembles the original model, designed for raw firepower. This ship comes with a Cloaked Barrage console. The console briefly distributes your Singularity Core's energy to both your Cloaking and Weapon systems. Activating this console will allow you to fire your weapons while cloaked for a brief period of time. After this effect expires, your weapon power will be significantly drained. This Console Mod can be equipped in any console slot, but may only be used on Romulan Dreadnought Warbirds. You may only equip one of these mods on any single ship. 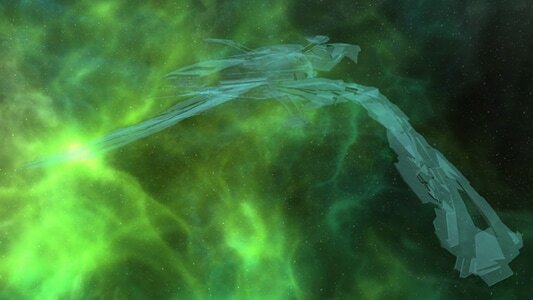 The Romulan Dreadnought Warbird: Scimitar Class comes with the Scimitar Class ship Costume. 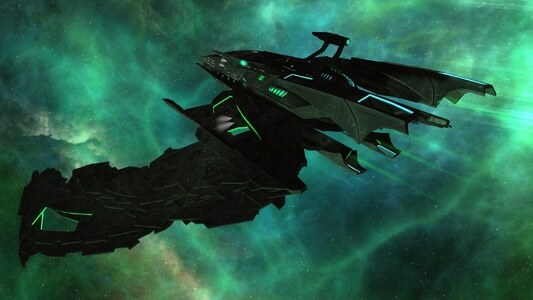 Acquiring other Romulan Dreadnought Warbirds will unlock additional costume options for your ship. Note: Unlocking the Romulan Dreadnought Warbird: Scimitar Class unlocks this ship for every Romulan Republic Vice Admiral character on an account. The Falchion-class has an Engineering focus and gains two Engineering console slots at the cost of two Tactical console slots. This ship comes with a Secondary Shields console. This potent defensive console creates a secondary layer of shielding around your ship that operates on a different frequency than standard shielding. 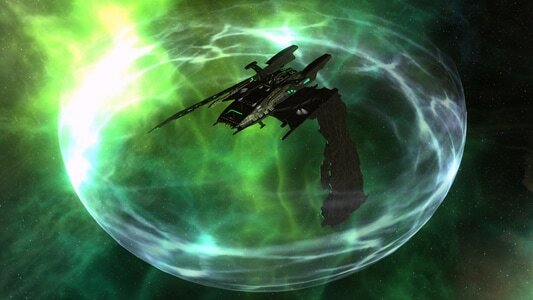 These secondary shields will absorb damage before your primary shields or hull is damaged. 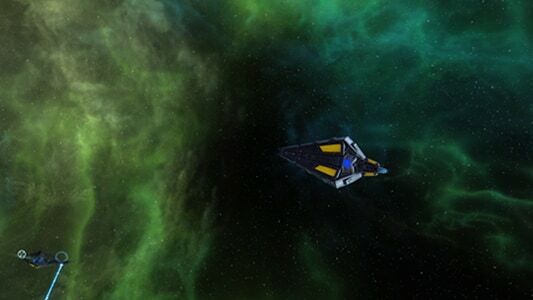 The Romulan Dreadnought Warbird: Falchion Class comes with the Falchion Class ship Costume. 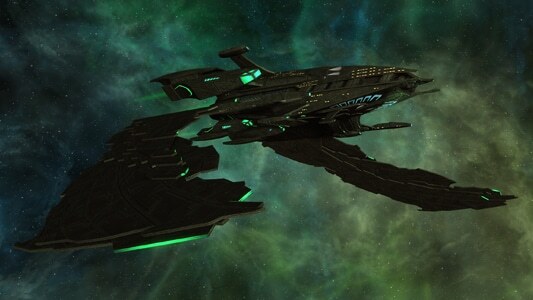 Acquiring other Romulan Dreadnought Warbirds will unlock additional costume options for your ship. Note: Unlocking the Romulan Dreadnought Warbird: Falchion Class unlocks this ship for every Romulan Republic Vice Admiral character on an account. The Tulwar-class has a Science focus and gains two Science console slots at the cost of two Tactical console slots. This ship comes with a Singularity Distributor Unit console. While equipped, the Singularity Distributor Unit is capable of passively redirecting power from your Singularity Core to allow for shields to be up even while cloaked. While equipped your vessel will suffer no Shield Power drain while Battle Cloak is active, additionally, your shield systems will not be brought offline. This console also helps to mask your ship's Singularity Power signature, diminishing the Singularity's impact on your ship's Cloaking Device. 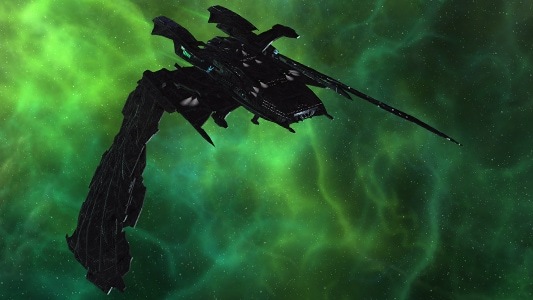 The Romulan Dreadnought Warbird: Tulwar Class comes with the Tulwar Class ship Costume. 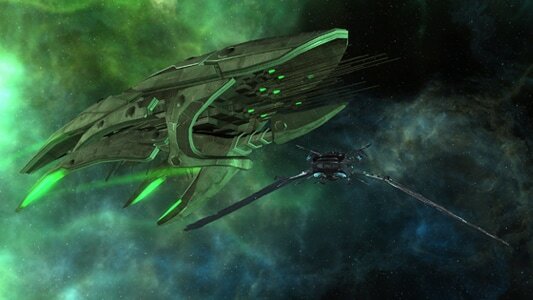 Acquiring other Romulan Dreadnought Warbirds will unlock additional costume options for your ship. Note: Unlocking the Romulan Dreadnought Warbird: Tulwar Class unlocks this ship for every Romulan Republic Vice Admiral character on an account. 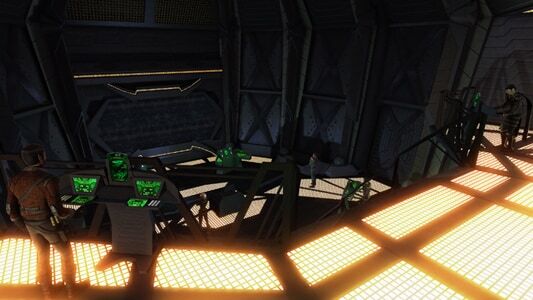 Romulan Drone ships were first seen in the 2150s, when the Romulan Star Empire utilized the unique Multi-Spectral Emitter technology on the vessels to attempt to start wars between other prominent factions in the Alpha Quadrant. After several species discovered the Romulan ploy and worked together to destroy the original Drone Ships, this ship model fell into disuse. While the original model of these ships utilized an Aenar’s telepathic abilities to control these ships, modern versions are commanded remotely by the crew of the Dreadnought. This limits the range of these particular models of Romulan Drone ships, preventing them from functioning largely autonomously as the original ships did, but avoids the ethical issues – and potential for sabotage – that existed on the Aenar-controlled vessels. Romulan Drone ships utilize two unique pieces of technology. The first is Multi-Spectral Emitters, which allow them to take on the appearance of a limited variety of other types of ships. When deployed into combat, the Drone Ships will attempt to take on the form of a ship that would normally be allied with the vessel they are targeting – creating confusion in enemy ranks. 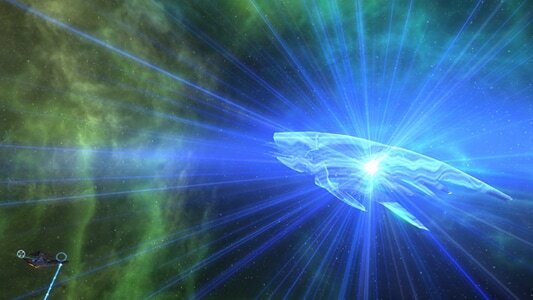 To support this technology, Romulan Drone ships are also equipped with Tri-Phasic Emitters. These change the frequency of the Drone Ship’s disruptors to emulate the weapon signatures of other weapon types, causing them to change both visually and functionally. This both helps add to the illusion generated by the Multi-Spectral Emitters and increase the combat versatility of the Drone Ship. Rare (Blue) quality Romulan Drone Ships can be purchased for Energy Credits, while Very Rare (Purple) quality versions can be purchased for Dilithium (through the ‘Special Items and Boxes’ section of the Dilithium store), and Ultra Rare (Ultraviolet) quality versions can be purchased from the Fleet Carrier Pet store if it has been unlocked by your Fleet. 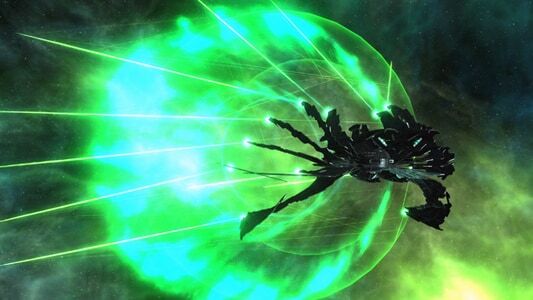 Only Romulan Dreadnought Warbirds can equip and deploy Romulan Drone Ships as hangar pets. The Cloaked Barrage, Secondary Shields, and Singularity Distributor Unit can be equipped on any Romulan Dreadnought Warbird. Together, they are the Advanced Scimitar Systems Set. The two-piece set bonus gives the ship Rapid Maneuvering Thrusters, which increases the ship’s turn rate. In addition, it allows the Scimitar to maintain the turn bonus from cloaking after exiting cloak for the duration of their Cloaking Ambush. The three-piece set bonus is Thalaron Pulse. This allows you to deliver a massive blast of Thalaron Radiation to all enemies in front of your ship. Due to the weapon's power, it requires twelve seconds to charge up before firing. During this charging period, enemies can potentially flee to avoid the attack. Any enemies that are affected will suffer continuous radiation damage and crew damage for 12 seconds after being hit. This cannot be used while cloaked, even with the Cloaked Barrage console active. Additionally, if your ship is destroyed while equipped with all three consoles, it will leave behind a cloud of Thalaron radiation. This radiation deals continuous crew damage to any ships within it. 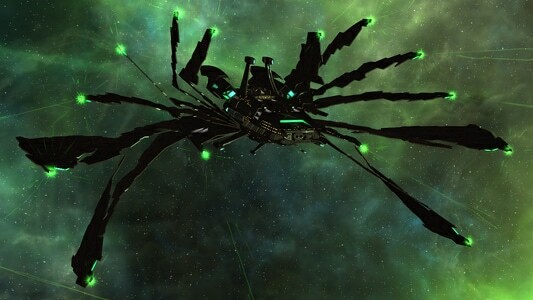 All three Romulan Dreadnought Warbirds are equipped with a unique bridge. While visiting your bridge, you will also be able to access your Account Shared Bank, move into a Small Craft, and contact different ship departments for Duty Officer assignments. NOTE: You must have enough Ship Slots to commission the new ships. 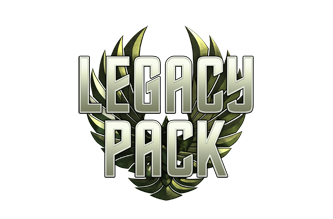 If you do not have enough space, you can purchase additional slots from the C-Store or keep the ships in your bank until you do have space. We hope you enjoy these amazing ships and look forward to seeing you flying one in-game!